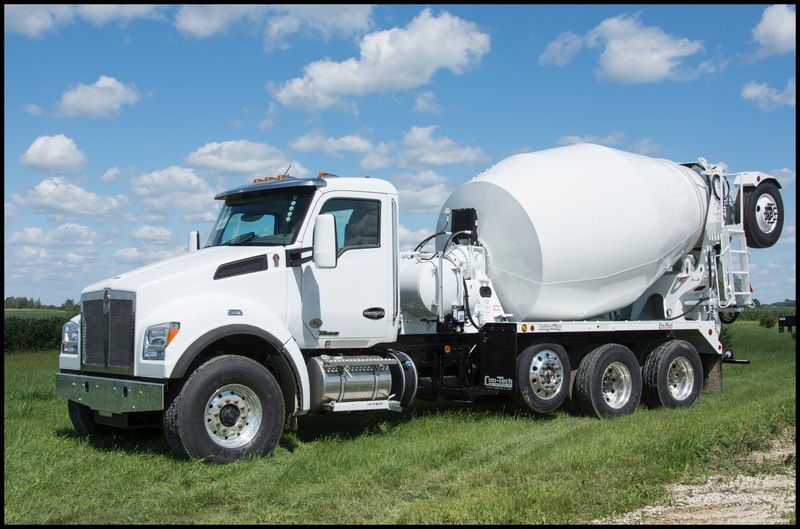 KIRKLAND, Wash., Nov. 27, 2017 – A Kenworth T880S bridge formula mixer chassis will be auctioned at the 12th annual Concrete Industry Management (CIM) program auction Jan. 24 at the World of Concrete Show in Las Vegas. The T880S with a set-forward front axle is equipped with a PACCAR MX-11 engine rated at 430-hp and 1,650 lb-ft of torque, and a BridgeKing® 11-cubic yard bridge formula mixer with a high performance drum contributed by Con-Tech Manufacturing. The Kenworth T880S with the Con-Tech Manufacturing BridgeKing Mixer Package will be auctioned between 1 p.m. to 2:30 p.m. Wednesday, Jan. 24, at the live auction in North Hall Room N262 at the Las Vegas Convention Center. Internet bidding is also available on the Ritchie Bros. website at: www.rbauction.com. For more information, visit: www.concretedegree.com/auction.